ONE ONLY - SAVE £100! 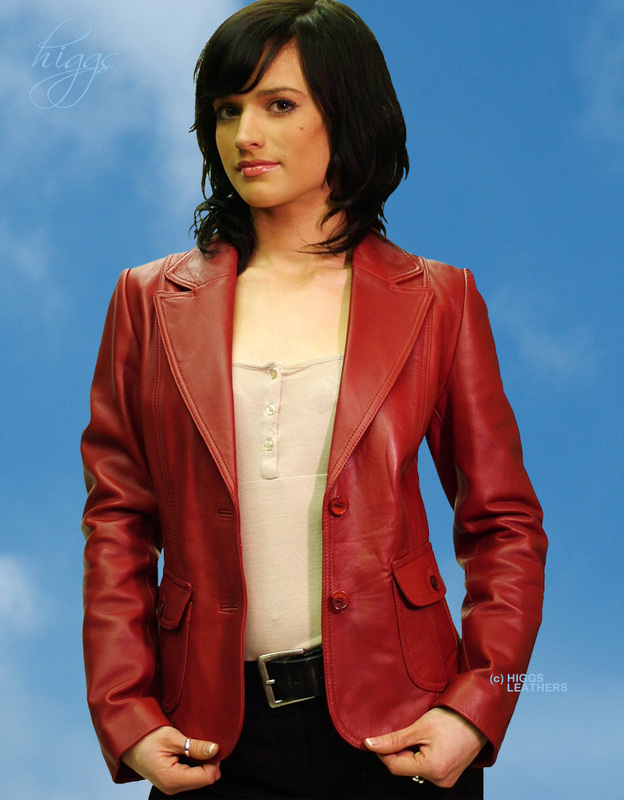 Very latest shorter length Blazer style ladies leather jackets made from extra soft Lamb Nappa skins. Long curved shape rever collar, fitted body with double stitched seams and tailored sleeves. Although the body has a slim, flattering line, it is not too fitted for comfort. Two outer pockets with buttoned leather flaps plus two leather edged inner mobile phone pockets. A super new version of the classic leather blazer jacket! Jacket length apprx. 22" (55.5cm).